ArtFlo is an accelerated file prep and design service that offers cost effective and customized solutions. Our team is committed to understanding your company’s unique requirements and works directly with you. 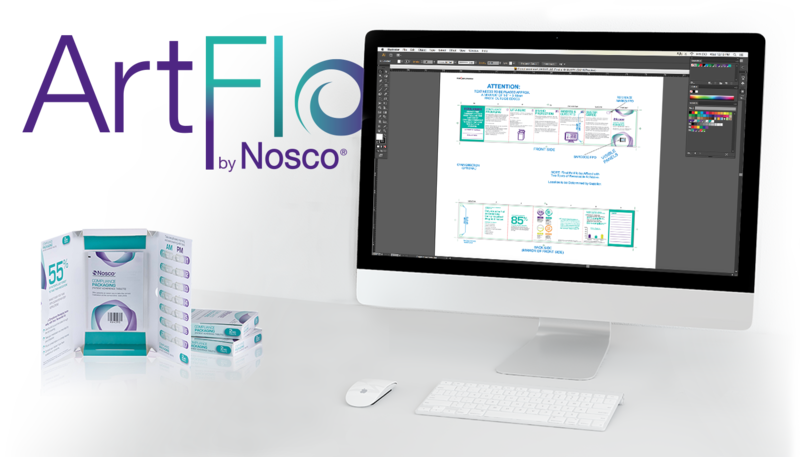 Nosco's accelerated file prep can provide PDF files in 24 hours or less, quick e-mail interface, easy handling of product launches and emergencies, to help get your products to market faster. Need help with File Prep or Design? Click here to contact an ArtFlo team member for accelerated service.